Sammons Scooper Plate with Suction Cup Base is with high rim and reverse curve on one side of 6.75 inches diameter. It helps those with self-feeding problems to scoop food without spilling. 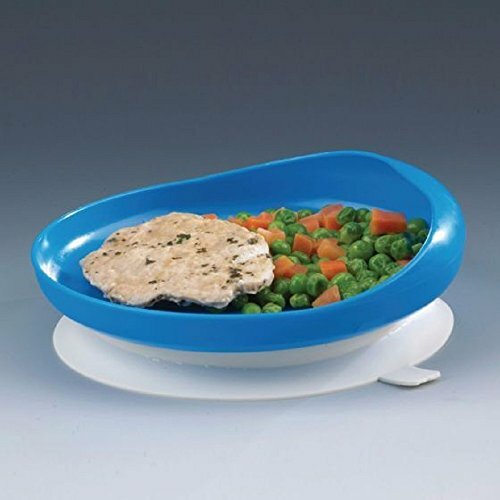 It has a rubber suction base that adheres to tabletop to keep plate securely in place. Due to hygienic reason, this product is non - returnable. Sammons Scooper Plate with Suction Cup Base is latex free. Microwave and dishwasher safe to 180°F. If you have any questions about this product by Sammons Preston, contact us by completing and submitting the form below. If you are looking for a specif part number, please include it with your message.